Revolutionary design, minimum vibration crankshaft grinding machine is capable to undertake onsite grinding of crankshaft, rotor shaft, turbine shaft, alternator shaft, pump shaft. The layout of the machine is that its grinding wheelhead is fixed and regulating wheelhead is movable. 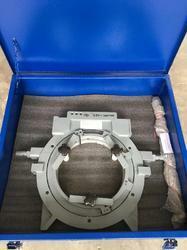 We have reached the pinnacle of success and earned a reputed name by providing high quality range of Heavy Duty Crank Shaft Grinding Machine. 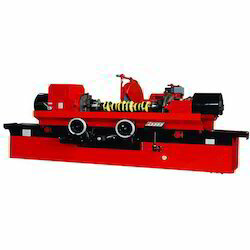 Crankshaft Regrinding Machine is a Unique, Easy Operation, Rigid Strength, High productivity, less effort of workmen ship. We are a renowned manufacturer, supplier and exporter of these machines. Our crankshaft regrinding machine requires less maintenance and easy in its operational functions. A distinguished variety of Crank Shaft Grinder is being provided by us. These are 100 mm mini angle grinders that find use in a number of engineering applications. Our heavy duty mini angle grinders are are precision-engineered and ISO certified. Moreover, these are well-known for their fine grinding, rigid construction and durability.